November 2016 will be a busy month touring various cities in celebration of my new book, The Cook’s Table. I hope you can join me at an event near you! Tickets: $85 for singles, includes a copy of the book or a $65 gift voucher; $100.00 for couples, includes a copy of the book. Everyone gets a complimentary glass of wine and delectable finger food to taste. Bookings: 03 9439 8700 or elthambookshop@bigpond.com or by visiting 970 Main Road, Eltham. Six months ago I designed a small range of items mostly intended for use in the garden, including herb pots, hand tools, seed boxes and personal favourites such as the canvas garden bag with pockets for the tools and big enough to tuck in a lunchbox and a thermos. This time I have moved away from the garden into the kitchen and dining spaces, and have drawn inspiration from the colours of the sun shining on the MacDonnell Ranges in Central Australia. 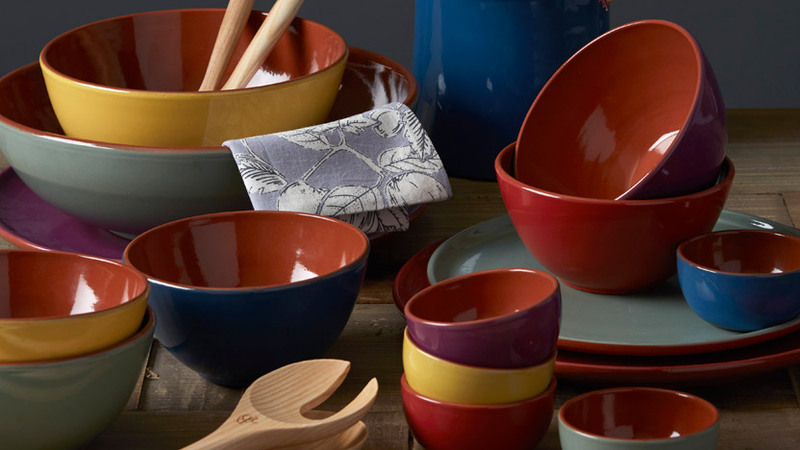 The ceramics are all crafted in high-quality terracotta and glazed in Spain to my specifications in Australia’s own colours of Saltbush, Ochre, Bush Plum, Desert red and Azurite. There are bowls in four sizes from baby pinch bowls to a wide and generous salad bowl as well as platters and dinner plates. 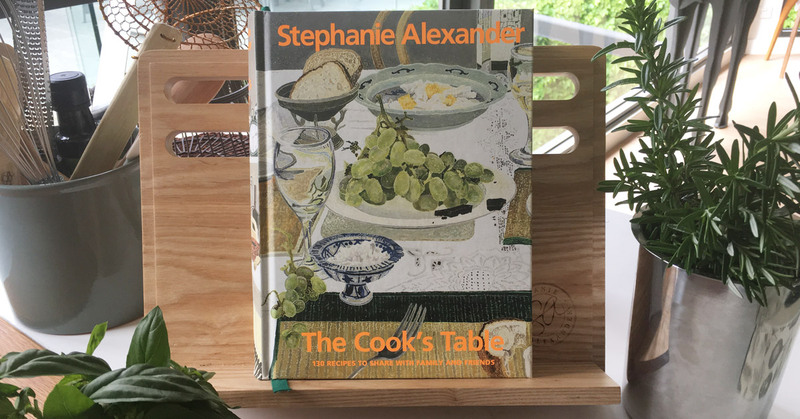 I went to look at the complete range displayed at the Melbourne Gift Fair and noticed to my complete astonishment how the colours complemented and reflected the colours in the cover of The Cook’s Companion.